Some pages you've alredy seen, but others are new to you. 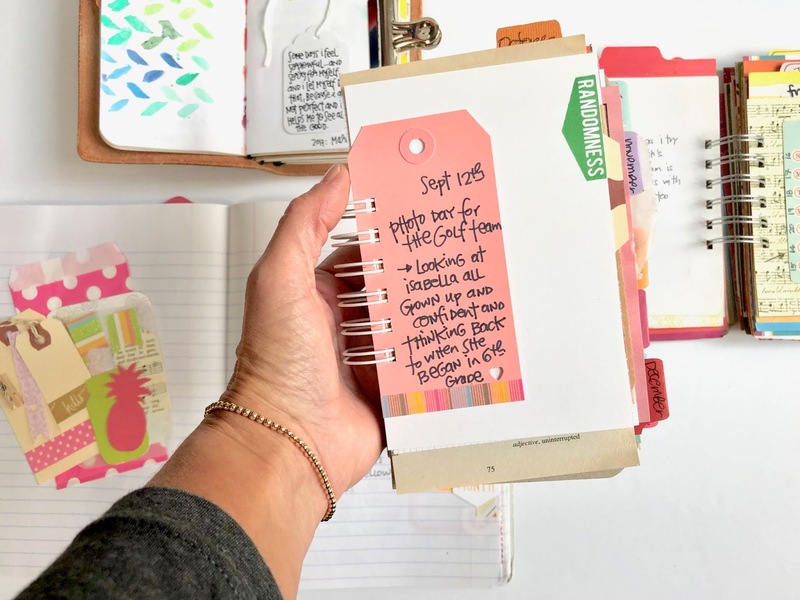 The main theme I wanted you to see all up close and personal, and why I'm sharing all my pages this week, is that you don't have to journal every single day. 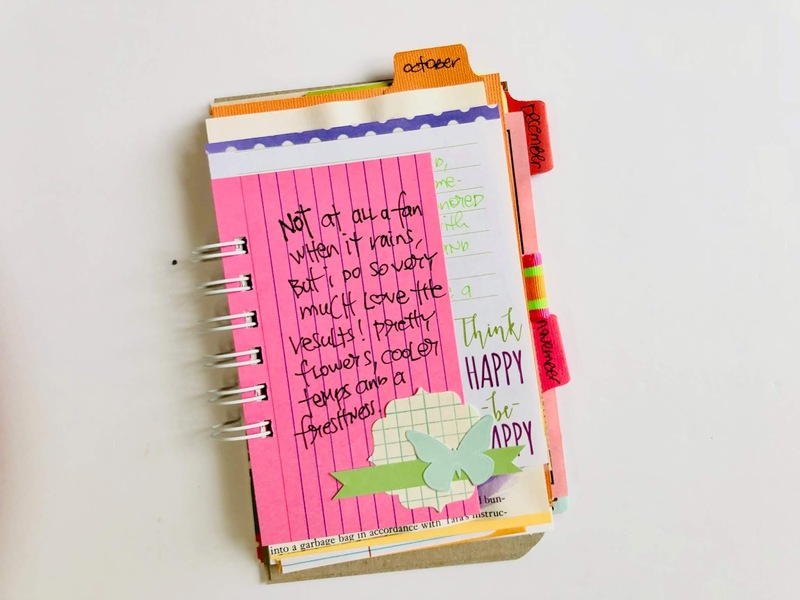 Don't let the idea of journaling every day stop you from keeping a Gratitude Journal. 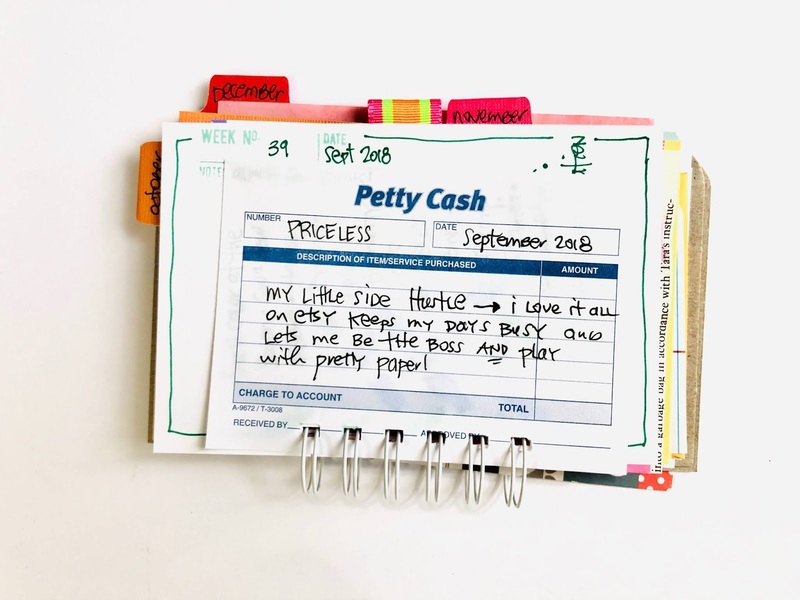 Some pages show one single thought on a page, others show a recap for the whole week. Yep, the whole week. 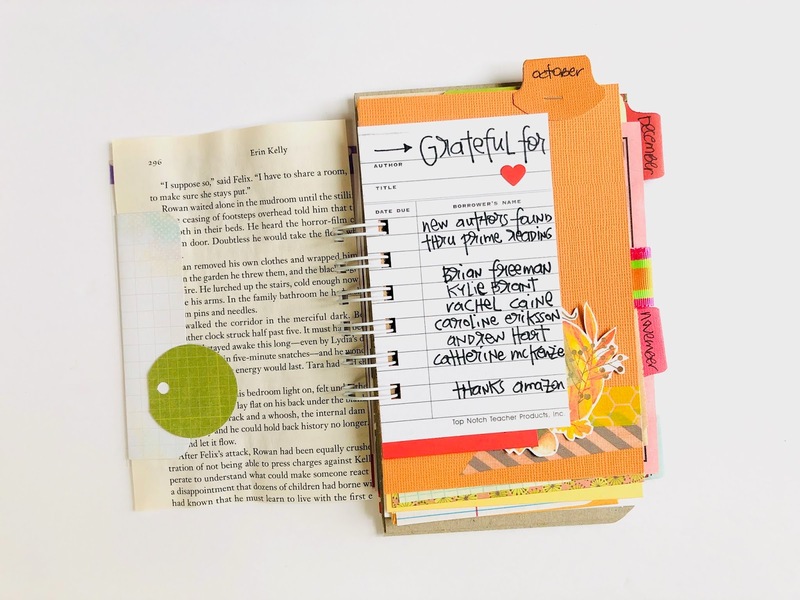 I guess you could say that in the last little bit, my gratitude journaling style has been more in the listing style of journaling or a sort of family diary rather than a daily recap of my thankful thoughts. 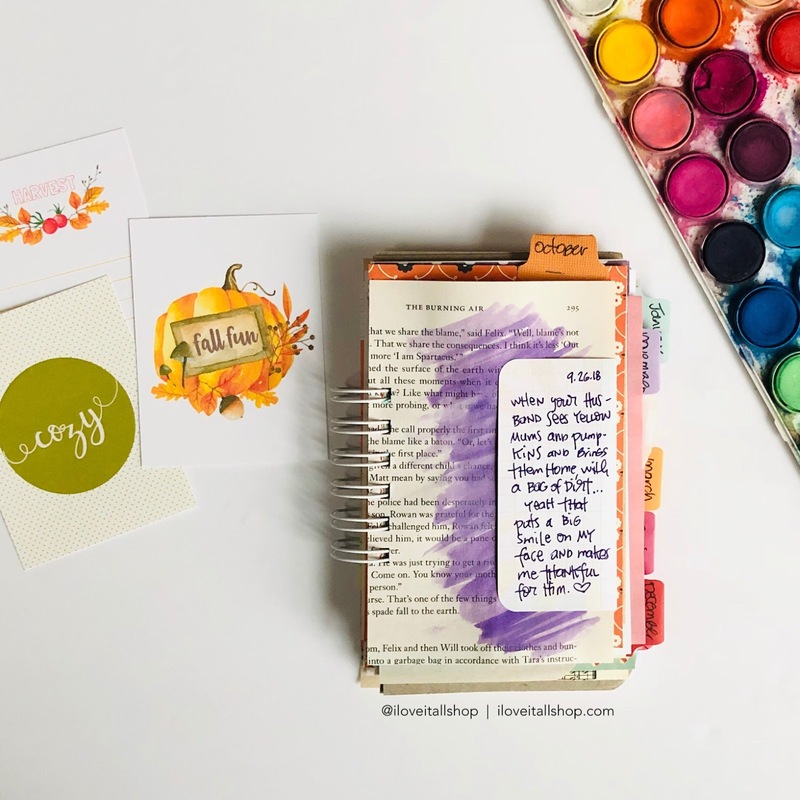 I love how the combination of watercolors and my handwriting combine with the hand stamped element on the top right of the cardstock. 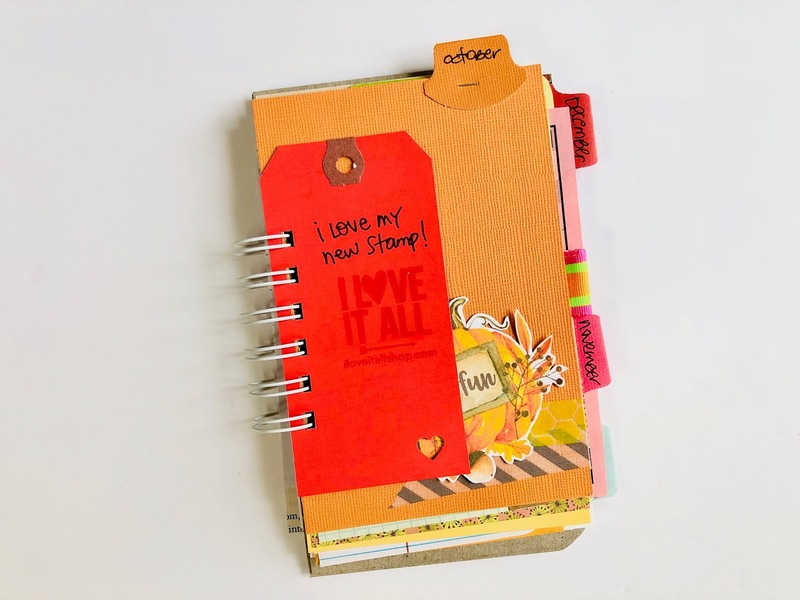 See a better photo of my new shop stamp, that I'm so proud of, here...scroll to Day 27. 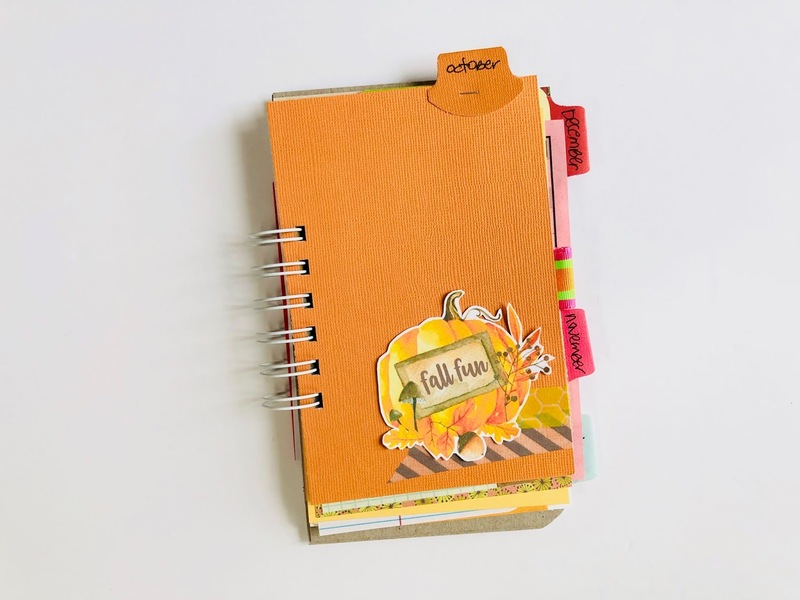 I haven't in the past decorated my monthly tabbed page dividers, but I saw that one of my new Brand Ambassador's Sarah did, so I thought I would give it a go. 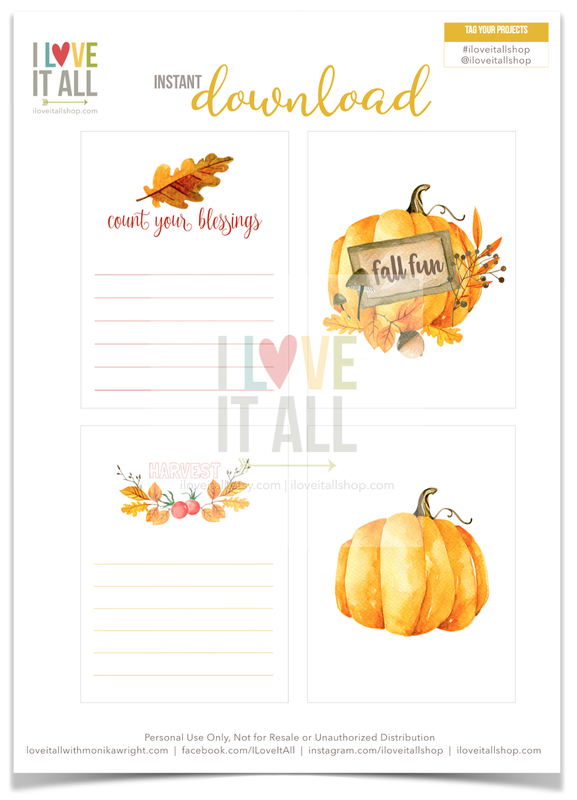 I printed the journaling card set and fussy cut around the pumpkin before I popped it on top of some washi tape strips. To give the pumpkin more dimension, I curled the edges with my thumbnail. 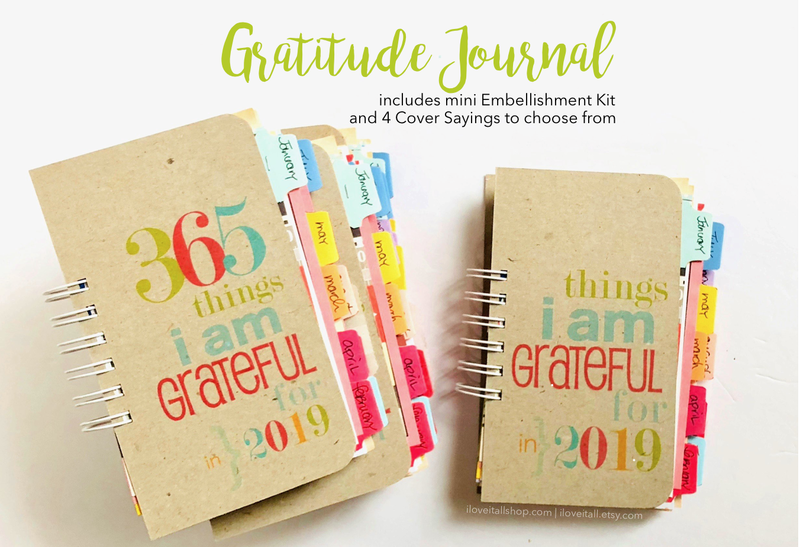 Here's the journaling card set I used, perfect for a Gratitude Journal or your other memory keeping projects. 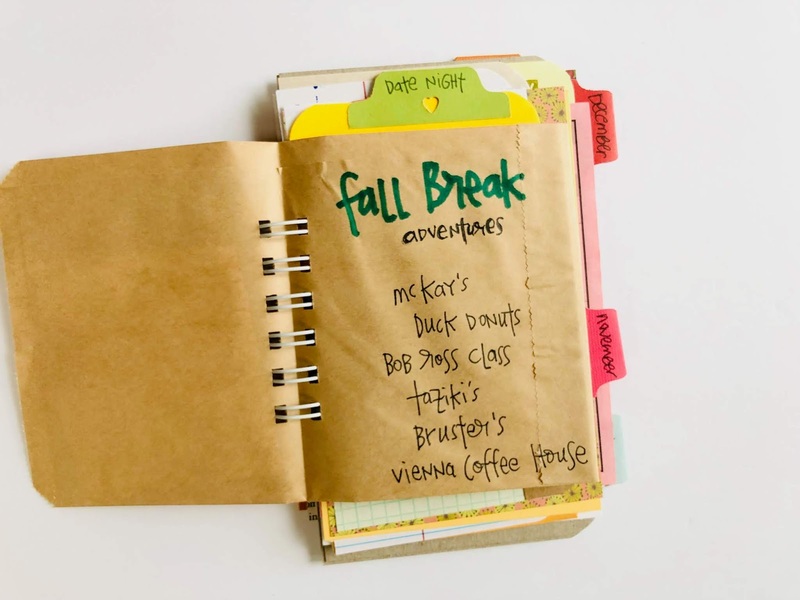 Maybe a Fall Bucket List, a trip to the pumpkin patch or a photo of the last haul from the garden. 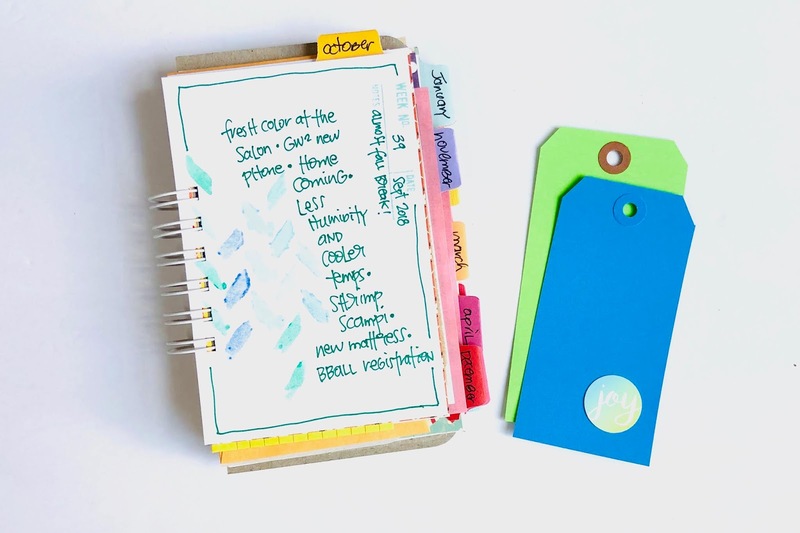 I'm saving this pocket page made from a folded over kraft bag for something special. 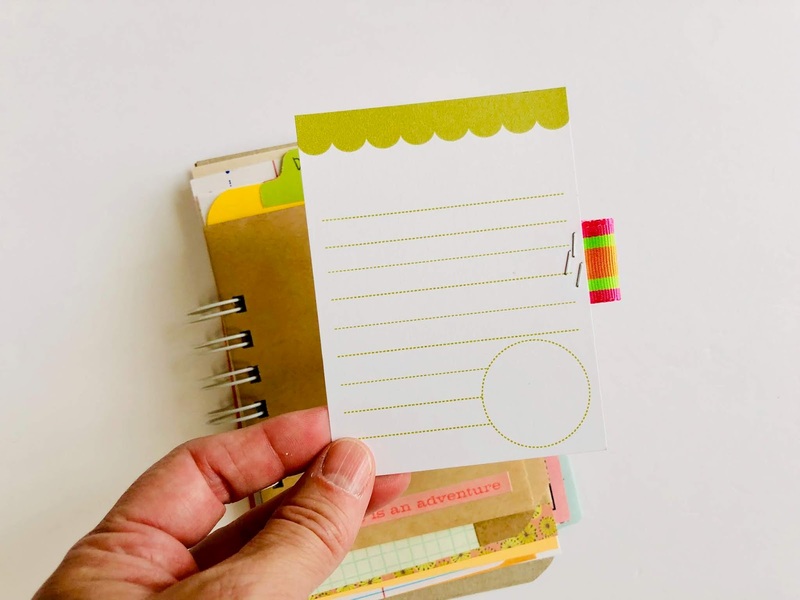 I added some ribbon to this jouranling card and will decide later what to place inside the circle spot. I sure do love the sock die cut, I love me some cute socks. 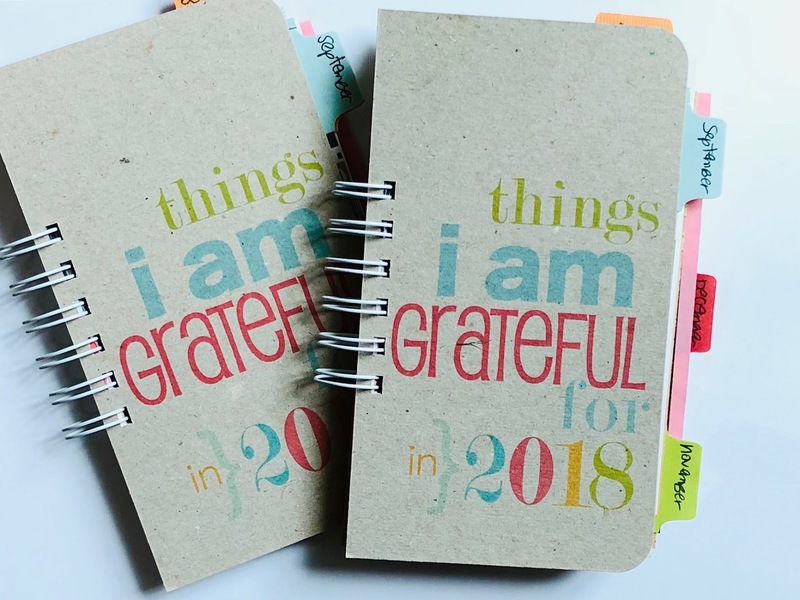 This week, I used the original Gratitude Journal style. 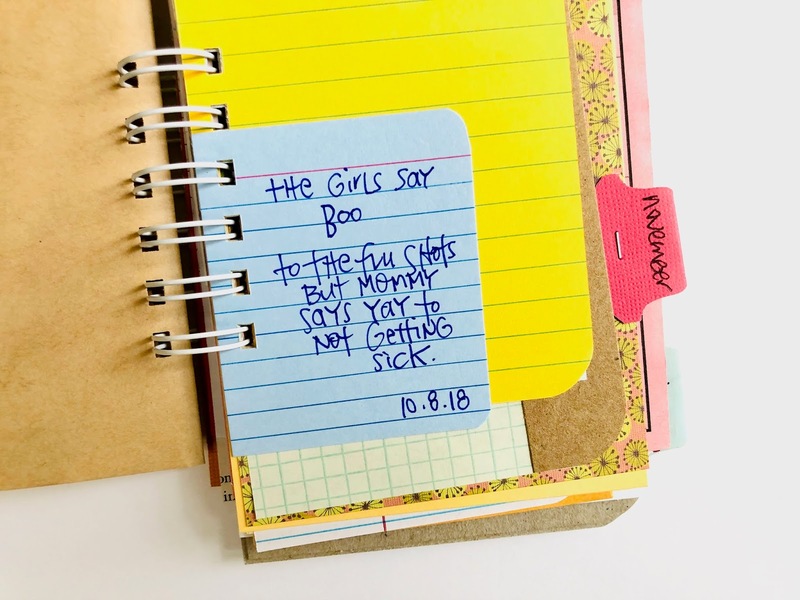 There's also a larger, lined bound journal, a notebook style journal and also Travelers Notebook inserts in 5 sizes to choose from. 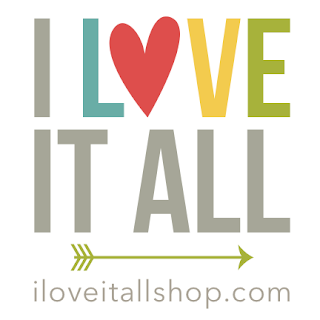 But, there so many other choices - one that might suit your style of journaling better - in the I Love It All shop. You can even find the kraft bags I've been using. 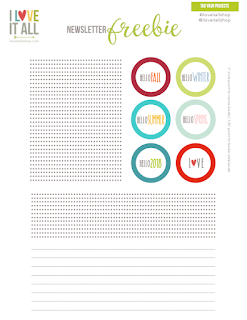 Want to document your own #ilovethursdaythanks? 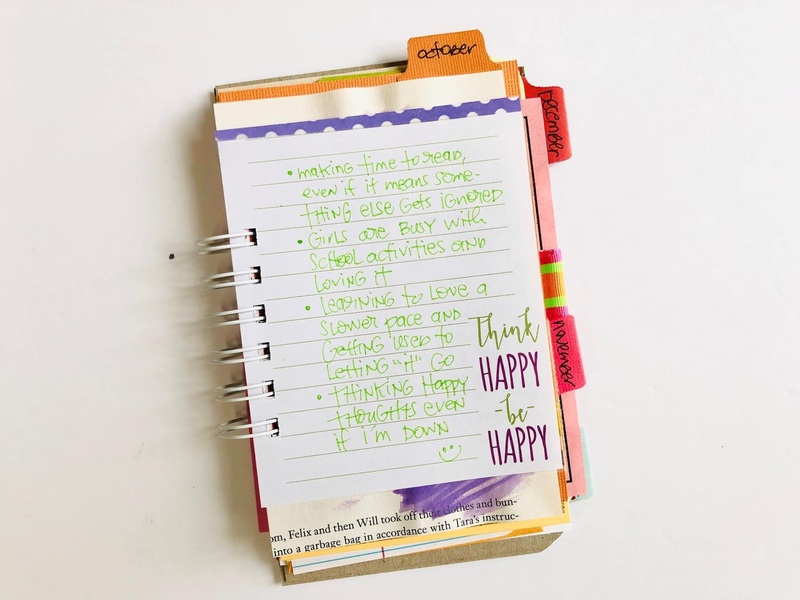 Write down what you're thankful for, it doesn't have to be in a journal or notebook, just list it and then head on over to Instagram to post! 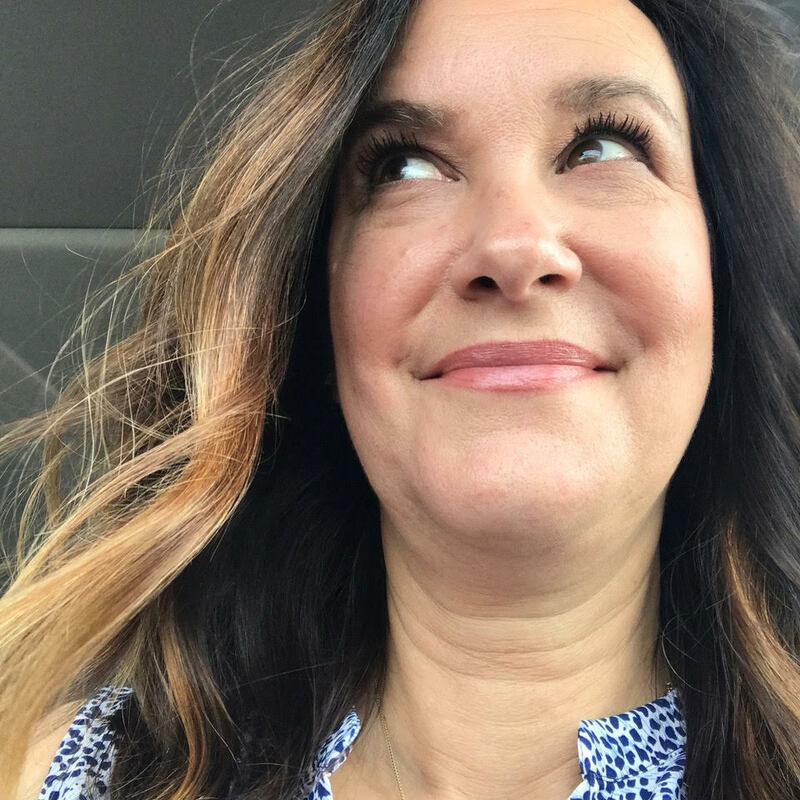 Be sure to use the hashtag #ilovethursdaythanks so I can take a peek! Chooose from 4 different cover designs! 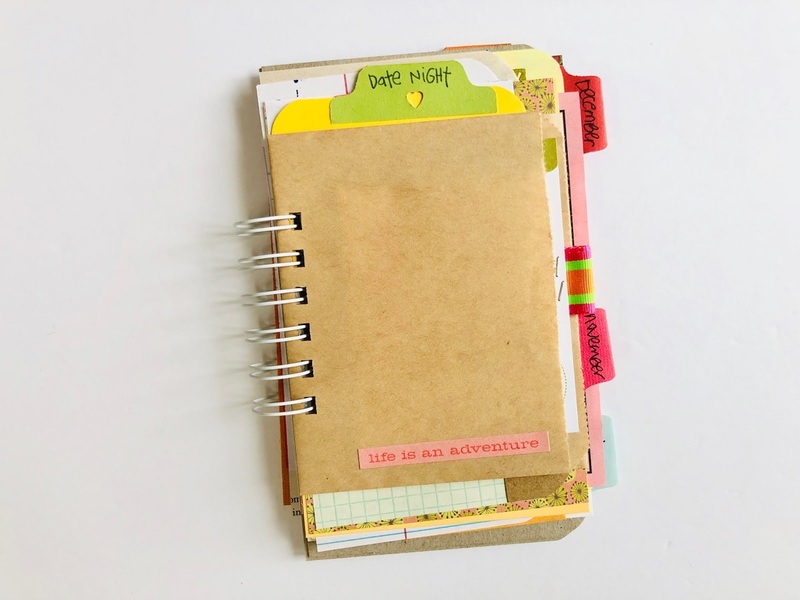 This mixed paper journal has over 80 pages that include bags, tags, hand stamped pages, cardstock, office ephemera, note paper, book pages and more. 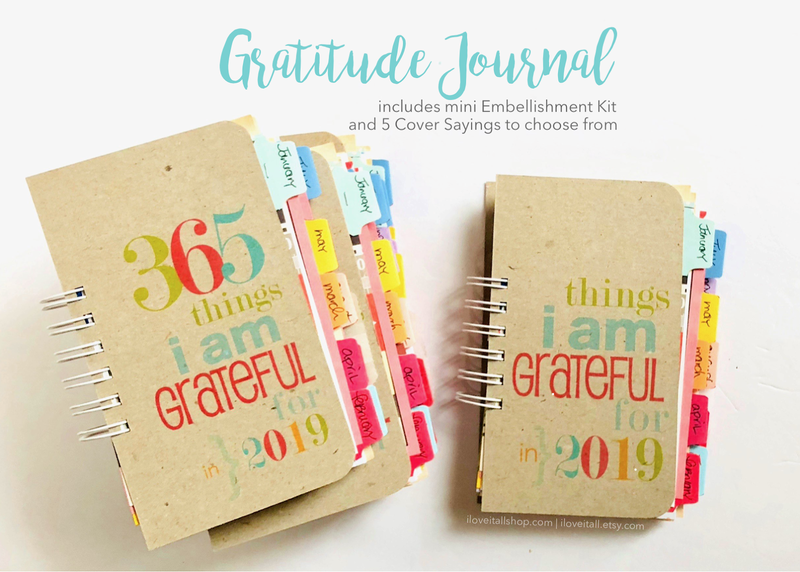 Here's a blog post with larger photos of the inside pages of the 2019 Gratitude Journal or you can head to the shop and buy it now!